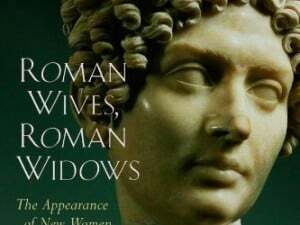 In ‘Roman Wives, Roman Widows‘ Bruce Winter makes a case that the covering that Paul mentions in 1 Corinthians 11 is a “marriage veil” which was worn by all faithful, married, Roman women. Those who cast it off were “replicating the attitude and action of ‘new’ wives” 1) Bruce Winter – Roman Wives, Roman Widows (Eerdmans, 2003) Page 77 whose “social life was reported to have been pursued at the expense of family responsibilities”. 2) Bruce Winter – Roman Wives, Roman Widows (Eerdmans, 2003) Page 5 These women would also often have “illicit liaisons that defied the previously accepted norms of marriage fidelity and chastity”. 3) Bruce Winter – Roman Wives, Roman Widows (Eerdmans, 2003) Page 5 So Winter defines the head covering as “the symbol of the modesty and chastity expected of a married woman.” 4) Bruce Winter – Roman Wives, Roman Widows (Eerdmans, 2003) Page 80″ This is the cultural view of head covering that he subscribes to, but what sets his work apart from others is the substantial amount of evidence for each of his points. 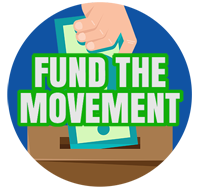 Though we’ve already given our thoughts on the cultural view we’d like to interact more specifically with the points he makes and the evidence he gives to support them. One of Winter’s points is to convey how it would be perceived if a 1st century Roman woman removed her ‘marriage veil’ in public. His premise is that, “As the veil symbolised the husband’s authority over his wife, the omission of the veil by a married woman was a sign of her “withdrawing” herself from the marriage.” 5) Bruce Winter – Roman Wives, Roman Widows (Eerdmans, 2003) Page 81 It is our objective to focus on this specific point and show that the evidence that is cited for such a claim is found wanting. What proofs are given to support this premise? Winter appeals to three pieces of evidence: 1) Galus divorcing his wife because she left the house unveiled. 2) Dio Chrysostom citing a law which said that a woman guilty of adultery should have her hair cut off and “play the prostitute”. 3) The dress of prostitutes in contrast to married Roman women. We’d now like to examine each of these three pieces of evidence that are put forth and give some brief objections. We will seek to show that the evidence given is inadequate when seen as the basis for Paul’s command in 1 Corinthians 11:2-16. Winter’s first piece of evidence is the case of Gaius Sulpicius Galus, who was consul in 166BC. Galus had divorced his wife for leaving the house unveiled and Valerius Maximus (Roman historian, 1st century) saw this as “frightful marital severity”. 6) Bruce Winter – Roman Wives, Roman Widows (Eerdmans, 2003) Page 82 – This quotation by Valerius Maximus does not appear in the reference given by Winter (Memorable Deeds and Sayings, 6.3.10) Winter says “When his wife removed her veil, she, in effect, excluded herself from the rank of Matron. It was on the basis of her ‘bare head’ that Gallus divorced her” 7) Bruce Winter – Roman Wives, Roman Widows (Eerdmans, 2003) Page 81-82 What’s the problem with this evidence? The main issue is Winter is putting forth evidence that is 200 years prior to Paul’s letter to the Corinthians. It’s the equivalent of someone quoting what was happening in 1814 to explain the reason a command was given regarding dress in 2014. A lot changes in 200 years and for evidence to be relevant to this discussion it’s going to have to be a lot closer in time. It’s also worth noting that Valerius Maximus did not approve of Galus’ actions. He said that “[Galus’] views were harsh” 8) Valerius Maximus – Memorable Deeds and Sayings (Hackett, 2004) Page 212 (Book 6, 3.10) and that it was his “stern pride” that led him to be a harsh husband. The harshness that Maximus is referring to is the divorcing of his wife for being publicly unveiled. One would think that if appearing unveiled were a public disgrace in Maximus’ time (which is what Winter is trying to prove), that he might have agreed with Galus’ actions rather than seeing it as harsh. The second piece of literary evidence that Winter puts forth is from Dio Chrysostom. Chrysostom lived from 40-115AD, so he lived during the time that Paul was alive and ministering. Winter quotes Chrysotom by saying “a woman guilty of adultery shall have her hair cut off according to the law and play the prostitute” 9) Bruce Winter – Roman Wives, Roman Widows (Eerdmans, 2003) Page 82. Based on this quotation Winter concludes: “It is clear that part of the punishment for adultery was cutting off the offender’s hair.” 10) Bruce Winter – Roman Wives, Roman Widows (Eerdmans, 2003) Page 82-83 What’s the problem with this evidence? The law that Chrysostom is referring to is a fictional law from Cyprus. Chrysostom starts off by saying “But I will tell you also a Cyprian tale if you wish…” 11) Dio Chrysostom – Discourse 64 (English translation by JW Cohoon) (G.P. Putnam’s Sons: New York, 1932) Page 47 What is this tale? He continues: “…Cyprus too had its Demonassa, a woman gifted in both statesmanship and law-giving. She gave the people of Cyprus the following three laws: a woman guilty of adultery shall have her hair cut off and be a harlot…”. 12) Dio Chrysostom – Discourse 64 (English translation by JW Cohoon) (G.P. Putnam’s Sons: New York, 1932) Page 47 The translator 13) J.W Cohoon says that, “Nothing is known of Demonessa of Cyprus” 14) Dio Chrysostom – Discourse 64 (English translation by JW Cohoon) (G.P. Putnam’s Sons: New York, 1932) Page 47 which shouldn’t surprise since Chrysostom calls it a “tale”. So not only is this a fictional tale, it’s also from the wrong place. The customs of Cyprus, an island just west of Lebanon is not helpful to explain what was practiced in Corinth, Greece. The last piece of evidence that Winter puts forth is based upon the dress of faithful wives and those that were worn by adulteresses. Winter says, “No longer a matron, the woman was not permitted to wear the stola or vittae. 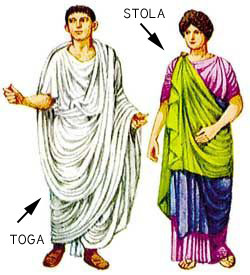 Instead, according to custom, the woman divorced for promiscuity wore a plain toga.” 15) Bruce Winter – Roman Wives, Roman Widows (Eerdmans, 2003) Page 82 He then contrasts the two, “if you were married you wore a stola; if you were not, you wore a toga…” 16) Bruce Winter – Roman Wives, Roman Widows (Eerdmans, 2003) Page 82 Then showing how this information about body dress relates to Paul’s command regarding head coverings, he says, “…[the adulteress woman] could no longer wear the traditional mantle to signify marriage and hence pull it over the top of her head in public”. 17) Bruce Winter – Roman Wives, Roman Widows (Eerdmans, 2003) Page 82 What’s the problem with this evidence? Winter is specifically speaking about the differences in clothing one wears on their body while Paul is only concerned with what one wears on their head. If adulteresses did in fact only wear plain togas, and a married woman only wore a stola, what relevance would that have for head covering? Both dresses can be pulled over one’s head as a head covering. In fact the very Greek words that Paul uses for “head covered” in 1 Corinthians 11:4 is “kata kephales”. Plutarch (46-125AD) says regarding a man, “He was walking having his toga covering his head.” 18) Frank C. Babbit – Plutarch’s Moralia (Harvard University, 1931) Book 3, 190-191″ What Greek words did Plutarch use for “covering his head”? The same exact words (kata kephales) that Paul used. So to imply that a “stola” covering is what Paul had in mind is to read that into the Scriptures. Paul gives us no noun for what is to go on the head, only a verb. 19) ”Kata” (translated as “something” in 1 Cor 11:4) is a preposition without an object. So it doesn’t specify what is Kata (over/down) from the head. “Katakalupto” & “Akatakaluptos” (translated as “Covered/Uncovered” in 1 Cor 11:5-7, 13) is a verb. So it’s telling women to perform the action of covering their heads, rather than telling them to wear a specific garment as a head covering. That means it’s not one specific covering that’s to be used, but any covering. And a “toga” pulled up over the head was a sufficient covering to be considered “kata kephales”. Winter’s point is that if a woman removed her head covering in public it would communicate her unfaithfulness in marriage. If that premise were true, Paul would have forbid unveiling in every instance. However, Paul’s instructions aren’t relating to dress in public, but to dress in worship (which was often done in the privacy of their own homes). Paul is concerned with how one “prays and prophesies” not with how one appears in public. On top of that, Paul is also concerned with how men “pray and prophesy” and with what they wear on their heads. So a command dealing with both genders cannot be explained by a situation that’s only relevant to women. Finally, Paul gives reasons for why women are to wear head coverings and why men are not. He’s says it’s an apostolic tradition (1 Cor 11:2) that was practiced in all churches (1 Cor 11:16). That means a Roman custom cannot explain why it was practiced in non-Roman churches too. Their cultural practices would have differed but the head covering command did not change. When we start with exegesis, we see that the reasons Paul gives for the command is the creation order, nature’s witness and angels. All of these reasons have one thing in common, they all transcend culture, and that is why the cultural view cannot stand. Galus divorcing his wife for leaving the house unveiled is 200 years removed from Paul’s letter to the Corinthians. Dio Chrysostom’s reference to the law for adultery was from a fictional Cyprian tale. Cyprian customs can’t explain Corinthian customs. 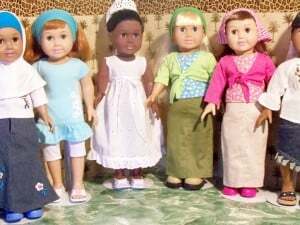 The body dress of both married women and adulteresses doesn’t have a relevance to Paul’s command regarding what women are to put on their heads. A woman could cover their heads with a toga, stola or any other fabric since Paul’s command is a verb (cover…) rather than a noun (a specific covering). 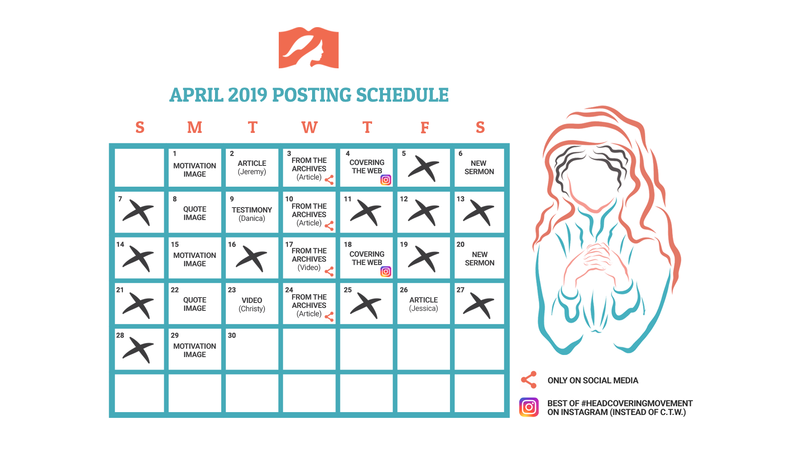 If unveiling signified “withdrawing” herself from marriage, Paul would have commanded the women to be veiled at all times, not just when praying or prophesying. The fact that men are also instructed with regards to their head coverings means a situation dealing with women only does not match Paul’s reasoning. 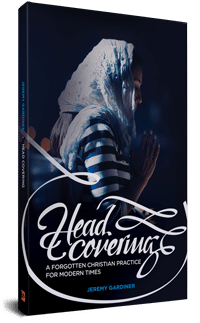 The reasons Paul gives for why men and women are to practice his teaching on head covering, transcend culture. ↑ Bruce Winter – Roman Wives, Roman Widows (Eerdmans, 2003) Page 82. ↑ ”Kata” (translated as “something” in 1 Cor 11:4) is a preposition without an object. So it doesn’t specify what is Kata (over/down) from the head. “Katakalupto” & “Akatakaluptos” (translated as “Covered/Uncovered” in 1 Cor 11:5-7, 13) is a verb. So it’s telling women to perform the action of covering their heads, rather than telling them to wear a specific garment as a head covering. 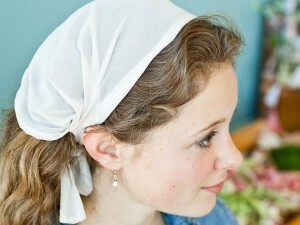 Should Single Women Wear Head Coverings? WOW BABY!!!! (i can call him that on account of him being my husband 😉 ) This was SO GOOD! Great job! !